Well, for lack of anything better to write, I thought I would update ya'll -- as we are on a five hour layover in Charlotte, NC. We left LAX at 10:30pm Thursday and arrived Charlotte at 6:30am this morning. 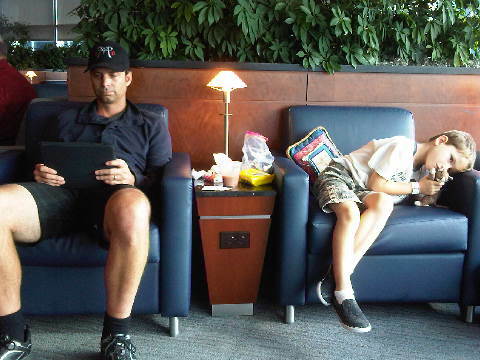 Shane fell asleep before the plane even took off. He had been so excited for it that we shook him awake and made him look out the window. He seemed like a drunk man as his eyes fluttered, rolled into the back of his head, and then he was back asleep before we even got all our wheels off the ground. From that point on, we all got about 4 hours of sleep...actually Shane got 4 hours of sleep while he stretched out across Jason and I. I spent most of the flight keeping Shane from kicking out my teeth with his restless legs; while Jason's head kept bobbing with Shane's raccoon flight pillow. So apropos for the South -- a road kill pillow. Presently, we are killing time in the Admirals Club. Jason and I had our last infusion of Starbucks before we enter international waters. Can you say venti soy latte, extra hot, extra foam? Well, I did and, as much as I like to experience the coffee of other cultures, I don't think Arubans are known for theirs so I was savoring every sip and praying that it would give me some faux energy. I am also hoping that we can find some place decent to have breakfast. Shane's only complaint so far was that we all fell asleep before they passed out the snack on the plane. I hated to break it to him that snacks are far and few between on flights these days unless you pay for them. 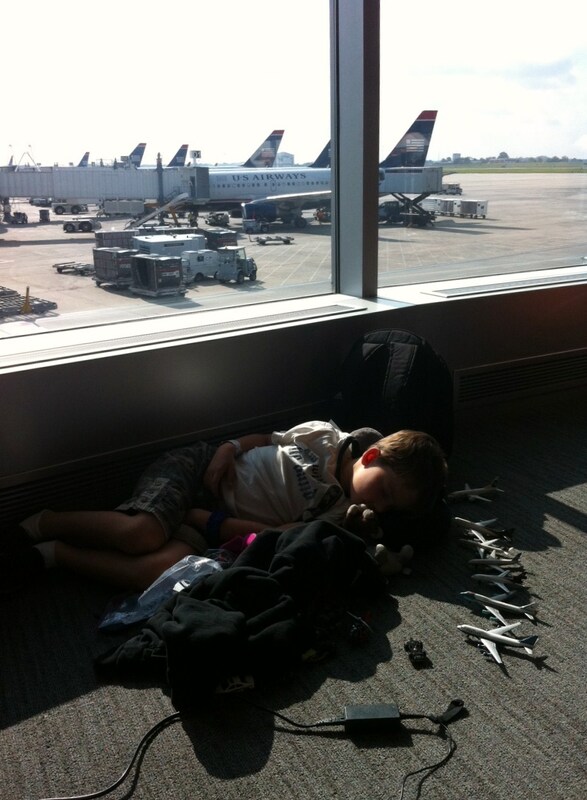 But the kid is a pro; by the end of this trip, he'll have been on 10 flights so far since January. And Aruba will be the eighth country Shane has visited in his life. So I say, Aruba here we come; so close, yet so far away.